The murder of Luis Santos made national headlines. Two men would be charged and convicted of the crime -- one of them, the son of a powerful politician. Now, after less than six years in prison, that son was just set free. 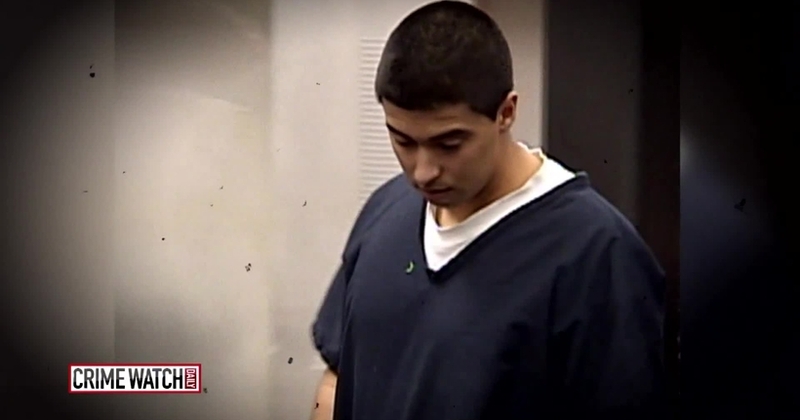 Esteban Nunez, a convicted killer, is back on the streets of California. Nunez was sprung from prison after serving less than six years for killing Luis Santos. And the guy who unlocked the cell door was Arnold Schwarzenegger. "There's nothing we can do about the release of our son's murderer," said Fred Santos, Luis's father. Many are calling this a backroom political deal. Esteban Nunez has a powerful father: former California Assembly Speaker Fabian Nunez, and he has a powerful friend in Arnold Schwarzenegger. "In our case we saw firsthand the difference between the haves and the have-nots," said Fred Santos. Was then-governor of California Arnold Schwarzenegger doing a favor for his political ally? The brutal crime still shocks California. Nunez and three friends were refused entry to a fraternity party at San Diego State University. Prosecutors say they returned with knives drawn, looking for revenge. A fight breaks out, and Luis Santos is stabbed in the heart. "He was cheated out of life by a group of thugs, and he was cheated out of justice due to some well-connected killers," said Kathy Santos, Luis's mother. "It's been very hard. This is the year he would be turning 30 years old. This year his friends are getting married," said Kathy. Nunez admitted stabbing two of the partygoers. His co-defendant Ryan Jett admitted he plunged the knife into Santos's heart. Both made plea deals: Guilty to voluntary manslaughter and two counts of assault with a deadly weapon. The sentence was 16 years. The other two defendants were given probation. In his dramatic final hours in office, Schwarzenegger commuted Nunez's sentence by nearly half. But he did nothing for Ryan Jett. In the official commutation document, Schwarzenegger says "considering Nunez's limited role in the killing and his clean prior criminal record, I believe his sentence is disproportionate in comparison to Jett's." The appellate court upheld the decision: "While Schwarzenegger's conduct could be seen as deserving of censure and grossly unjust, it was not illegal." Kathy Santos says she doesn't forgive Nunez, and wishes him nothing but ill will. The killer now walks free, while Luis Santos is in his grave. "We are serving a life sentence and our son's murderer is not," said Fred Santos.